Having the right gear can make all the difference when it comes to the success and enjoyment of your saltwater fishing experience. Not only will your gear make the sport easier, but it will also make it safer while you’re in or around the water trying to get the strike. When it comes to choosing your saltwater fishing gear, you need to consider where you’re going to be casting in your line. 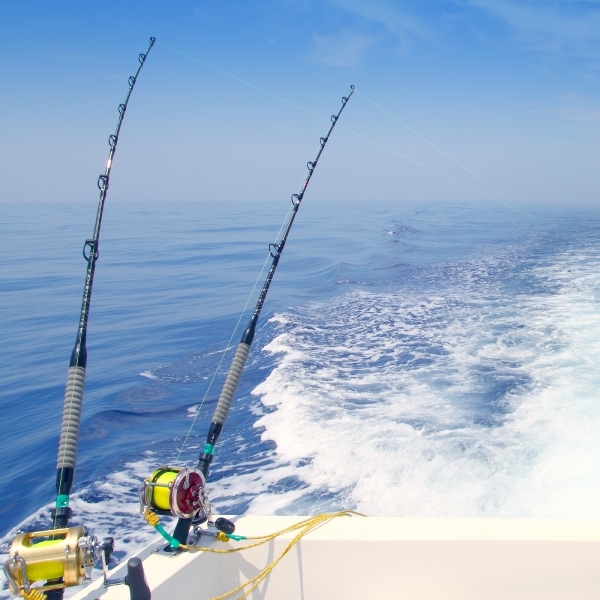 Whether you’re fishing from the pier, off a standing platform into the ocean, or trolling flats is going to impact what type of rod, reel, line and other gear you want to have at the ready. In general, there are a few basic necessities you want to be sure you include in your saltwater gear ensemble. Saltwater Gaffs and Nets to help you land the fish once it’s on your hook. These are also going to make it easier and safer if you practice catch-and-release fishing. Saltwater Pliers and Scissors to cut wires and tighten knots as you create rigs, or remove hooks once you’ve landed the fish. Saltwater Fishing Knives for cutting your bait or cleaning fish that meet established requirements for keeping. A Saltwater Hook Remover to make removing the hook quicker and safer for both you and the fish on your line. Cold-Weather Gear, like a waterproof or windproof hat, top layers of clothing and neoprene gloves. Even on warmer days it can be cooler out on the water if you are fishing early in the morning or in later evening hours, so you want to be prepared for these conditions. Saltwater Waders that are comfortable and breathable for when the water is 65 degrees or warmer, or neoprene waders for cooler waters to keep you warm. Sunscreen and Comfortable Clothing that will keep your skin protected from the sun’s UV rays. A lightweight, long-sleeved shirt combined with long pants will keep you from burning after a long day of fishing. If you get hot and need to wear cooler clothing, remember to consistently re-apply sunscreen to any exposed skin. Polarized Sunglasses to protect your eyes from the sun’s UV rays and make it easier for you to see into the water. These are especially helpful for fishing the flats, or sight fishing. You need to match the reel to the weight of your rod. To pick the right rod, you need to match the lure weight to the side of the saltwater bait or lure you plan on using, which is dependent upon the fish you’re going for. “Power” refers to the weight the rod is capable of lifting, which becomes important especially for deep sea fishing. Longer rods are going to cast farther, while shorter rods are more powerful when it comes time for you to fight the fish and land it. High-speed reels are going to be better suited for fast baits, while low-speed reels, like shorter rods, are going to give you more power for fighting the fish on your line. If you know you’ll be deep-sea, pier or surf fishing, or fishing the flats or in a bay, then you can get even more customized with your gear to increase your odds of getting strikes. 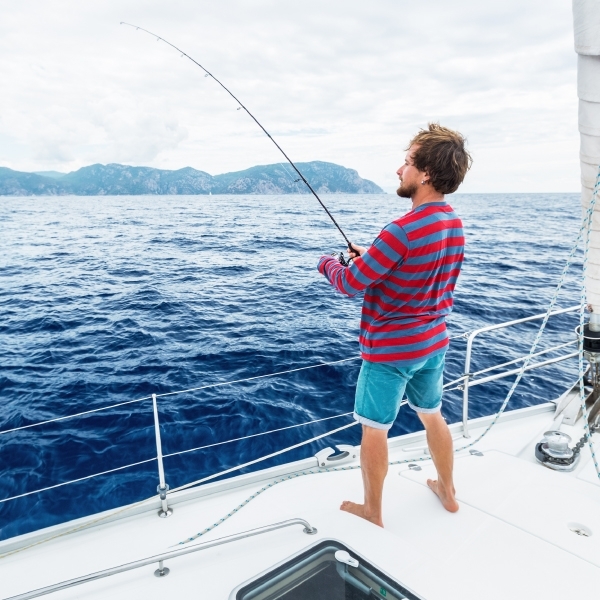 For a more comprehensive look at what saltwater rods, reels, tackle, bait, and tied flies you should use based on where you’re fishing and what fish you’re after, check out our articles Saltwater Fishing Basics, How-to Choose Saltwater Live Bait and How-to Saltwater Fly Fish. A Casting Platform is going to help give you better sight out over the waters, which can make a critical difference for any sight fishing angler. An Electronics Box is essential for keeping your fish finder, GPS, radio and valuable safe and secure from direct contact with water. Choose one that is water-resistant and locks for safekeeping. A Leaning Post is going to make your travels through choppy or rough waters easier as it provides added stability without hindering your ability to operate your boat’s controls. Combine the post with a Rigging Bracket for storage and you’ll have an all-in-one system that makes saltwater fishing that much more efficient. 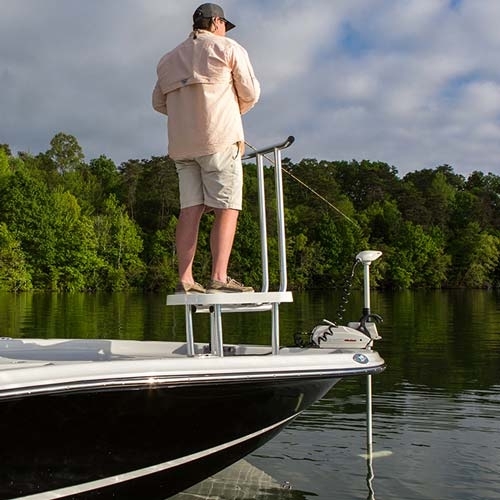 Outriggers with swivel mounts and rotating clamps are going to give you the freedom you’ll need to position your rods at any angle while you’re out on the water. If you plan on trolling, these are an absolute must-have. A Folding T-Top is going to give your boat the versatility it needs for any type of fishing you plan on doing, whether you’ll be in shallow or deep waters. By outfitting your boat with a t-top that folds, you can freely go under bridges or move it out of the way to keep it from interfering with your casting; but no matter what type of fishing you’re doing, having one on your boat is essential to keep you protected from the sun.